The impact of digital technology on healthcare is explored in a Special Issue of BioMedical Engineering Online, introduced by Associate Editor, Alessia Paglialonga. eHealth – including digital technologies for health, health analytics, tele-health, and mobile health (mHealth) – has gone through a period of significant growth and maturity in recent years. Recently, I was pleased to edit a new Special Issue “Trends in eHealth and mHealth: technology developments for improved healthcare” published in BioMedicalEngineering OnLine to showcase some significant developments in this field. The Special Issue presents ten articles that cover a large spectrum of topics. For example, Marceglia et al. present a general framework for the development of an integrated ICT system to support patients with dementia and caregivers (formal and informal). Cunningham et al. present an interactive web portal for disease self-management provided by the National Health Service (NHS) Scotland to patients with diabetes and their caregivers. Okun and Wicks discuss some personalized health initiatives, based on data integration from multiple sources, within the PatientsLikeMe (PLM) online patient community. Other contributions in the series present a variety of eHealth solutions for hearing impaired persons, as well as portable, wearable, or smartphone-based devices and applications to assess or treat specific conditions. 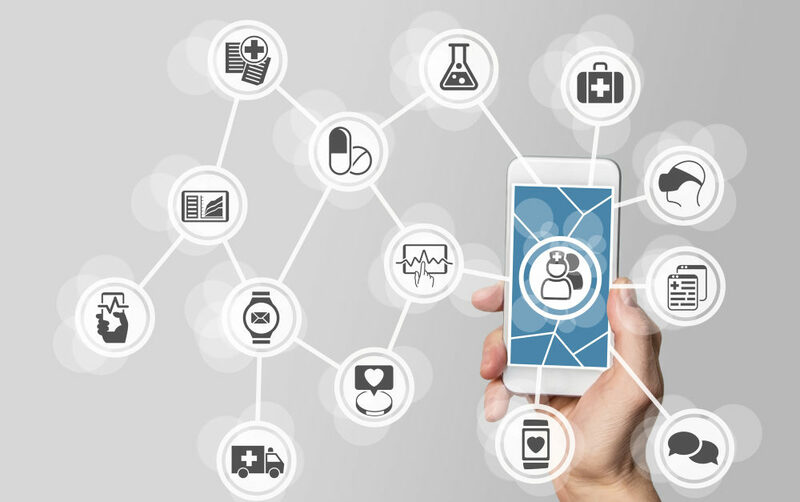 Overall, this collection of articles provides a multifaceted, multidisciplinary view of how current research in the area of eHealth and mHealth can translate into and benefits for the patients. Articles in the series are being accessed at an average of over 170 views per month each (over 12,000 views overall, since the first article was published). There is ongoing attention around these themes and we hope that the Special Issue can serve as a platform to stimulate interest, understand directions for future research, and maintain active debate on the rapidly changing landscape of eHealth and mHealth solutions. Alessia Paglialonga (Ph.D. Biomedical Engineering) is Research Scientist at the National Research Council of Italy (CNR, Consiglio Nazionale delle Ricerche, at the Institute of Electronics, Computer and Telecommunication Engineering (IEIIT). Her research interests include medical Informatics and eHealth (digital applications for health and wellbeing; data processing and analysis), technological developments in audiology (screening, assessment, and rehabilitation), and biomedical signal processing and modeling (speech processing, otoacoustic emissions analysis, sensory systems modeling, neural processing and coding). Since 2016, she has served as an Associate Editor for BioMedicalEngineering OnLine.